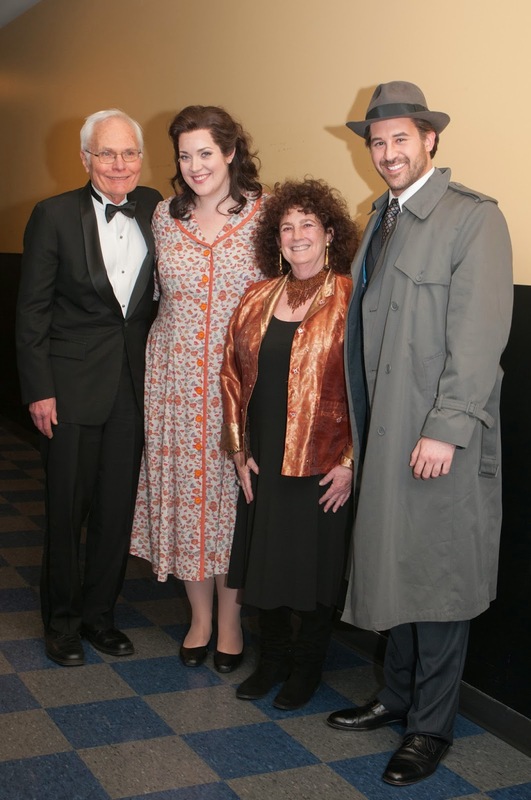 After opening night of The Consul last week, it was a thrill for Steven LaBrie, who plays the Secret Police Agent in our production, to meet Denise Lishner, whose father Leon worked closely with Gian Carlo Menotti and created Steven’s role when The Consul was new, in 1950. After the out-of-town tryouts in Philadelphia and the record-breaking run on Broadway, Lishner went on to sing The Consul in Paris and London; you can also see his performance on the 1960 television film of The Consul, available from VAI. Said Ms. Lishner of attending Seattle Opera’s production: “I saw The Consul many, many times when I was young, so I had to stop myself from singing along! It took me back—I remembered the excitement, the lyrical beauty of the performances, and how mesmerizing it was to see my dad—whom I knew as a nice guy!—transform into this chilling, dark character." Left, Speight Jenkins and Marcy Stonikas (Magda) with Denise Lishner and Steven LaBrie (Secret Police Agent); Elise Bakketun, photo. In Seattle Opera's very first season, fifty years ago, Leon Lishner sang Sparafucile in our first Rigoletto. 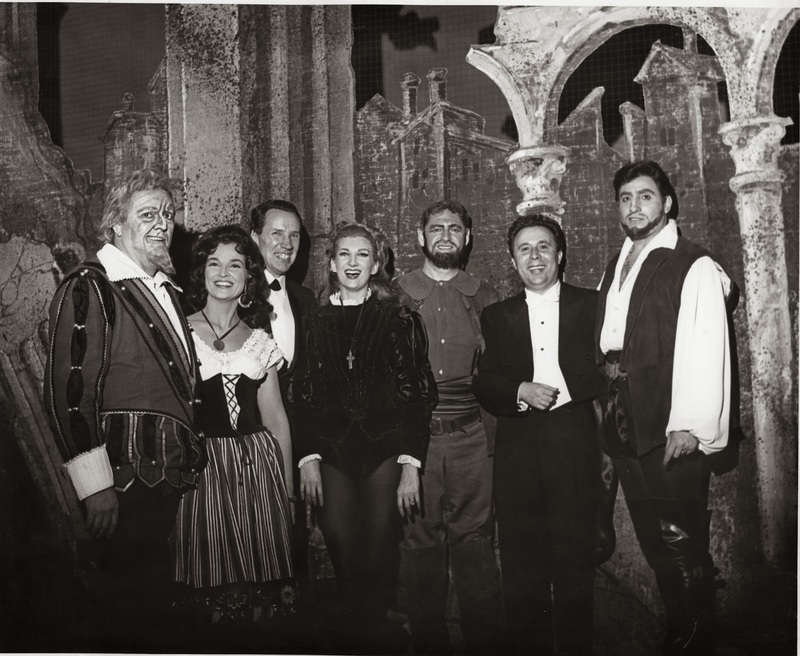 Here he is, backstage, with Cornell MacNeil (Rigoletto), Margery MacKay (Maddalena), General Director Glynn Ross, Patricia Brooks (Gilda), Leon Lishner (Sparafucile), Maestro Anton Guadagno, and Renato Cioni (Duke of Mantua) (Margaret Marshall, photo). 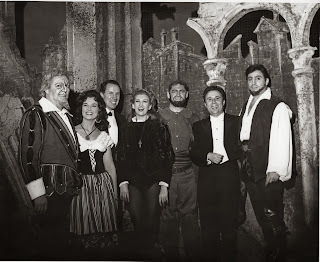 By 1967, Glynn Ross was hiring two casts to sing each opera; the Saturday night cast would sing in the original language, while the Sunday matinee cast sang in English. 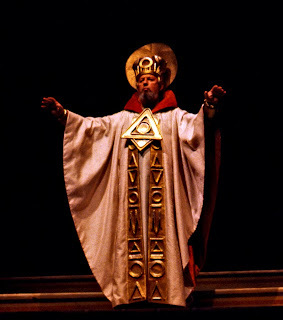 For Roméo et Juliette in 1967 (distinguished by the Seattle debut of Franco Corelli), Lishner shared the role of Frère Laurent with Nicola Moscona; Carol Todd sang Lishner's Juliette (Des Gates, photo). In addition to superstars such as Corelli, and ambitious Wagner productions, in the '60s and '70s Seattle Opera presented a handful of new works. American composer Thomas Pasatieri found a champion in Seattle Opera's Glynn Ross, who produced his Black Widow, in addition to Calvary and Signor Deluso. 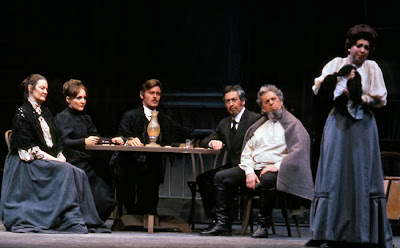 In the 1975/76 season, Pasatieri returned to Seattle Opera for the West Coast premiere of The Seagull, based on Chekov. The cast included Shirley Harned (Pauline), Patricia Wells (Masha), John Reardon (Boris), Lincoln Clark (Dr. Dorn and Stage Director), and Leon Lishner (Shamrayeff) (Chris Bennion, photo). Menotti loved working with Leon Lishner; after collaborating on The Consul, he wrote the role of Balthazar in Amahl and the Night Visitors for him, followed by Don Marco, the priest in The Saint of Bleeker Street. 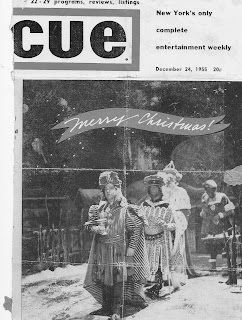 Every Christmas from 1951 to 1962, Lishner would head downtown in New York to the NBC studios for the live broadcast of Amahl and the Night Visitors. You can hear him on the original cast recording CD and DVD. 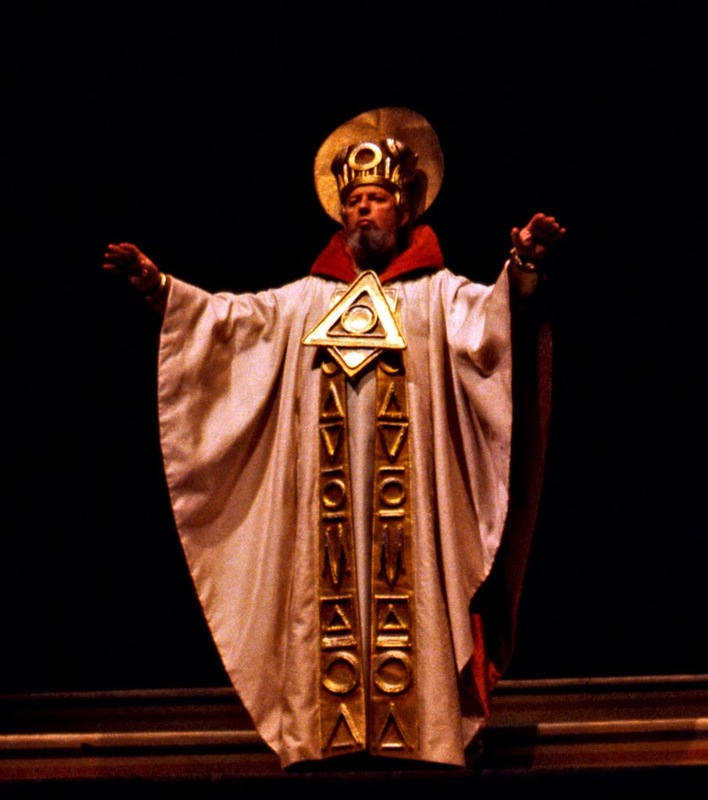 Publicity image for Amahl and the Night Visitors; Leon Lishner, as Balthazar, is the second king. Besides the Seattle production of The Seagull, two of Lishner’s other remarkable experiences creating new operas included the premiere of Weill’s The Threepenny Opera, in 1954; he played Mr. Peachum to the Jenny of Lotte Lenya; and the original NBC television production of (scenes from) Britten’s Billy Budd, in 1952. Lishner sang Claggart, with Britten’s original Billy, Theodore Uppman, and the Captain Vere of Andrew McKinley. In researching for a long ago Seattle opera Il Trovatore for my own music blog, hksounds.wordpress.com, I came across your informative blog. I located the Leonora elsewhere, Božena Ruk-Fočić, and was looking for the rest of the cast. Her name led me to your blog and although I still don't know who else sang in it, I enjoyed reading and viewing what you said about the early days of the company. Thank you!